Delighted to take part in this Music Industry Talk for Midsummer Arts festival alongside John Spillane & Sadhbh O’Sullivan. Are you interested in working in the music industry? If you have any questions about working in the industry, then this is for you. 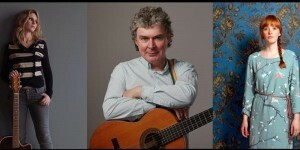 This is an open forum talk with 3 of Irelands leading musicians, John Spillane, Luan Parle and Sadhbh O’Sullivan. Listen to them talk about how to make a living from working in the Music Industry. The floor will be open for questions at the end of the session. This is a free event and open to anyone from 12yrs upwards, but places are limited. Book yours today from the link below.